Bill McKibben is an author, educator, environmentalist, and founder of 350.org. 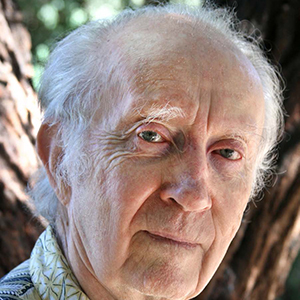 His 1989 book The End of Nature is regarded as the first book for a general audience about climate change, and has appeared in 24 languages. The Schumann Distinguished Scholar in Environmental Studies at Middlebury College and a fellow of the American Academy of Arts and Sciences, Foreign Policy named him to their inaugural list of the world’s 100 most important global thinkers. 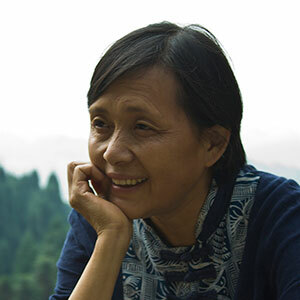 Sheri Liao is an activist, journalist, and perhaps the most important environmentalist in China today. Named a “Hero of the Environment” (TIME, 2009) and winner of the Clinton Global Citizen Award (2008), Liao is the founder and president of the non-government organization Global Village of Beijing. She served as an environmental adviser on the Beijing Organizing Committee for the 2008 Olympic Games. 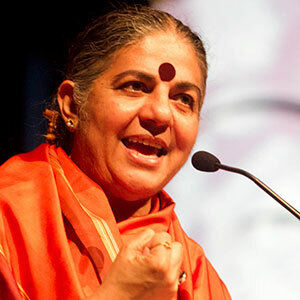 Vandana Shiva is a world-renowned environmental leader and recipient of the 1993 Alternative Nobel Peace Prize (the Right Livelihood Award) and the author of several bestselling books. Activist and scientist, Shiva leads, with Ralph Nader and Jeremy Rifkin, the International Forum on Globalization. Before becoming an activist, Shiva was one of India’s leading physicists. See also: “Soil, Papered Over” reprinted from The Asian Age and based on Dr. Shiva’s plenary presentation. 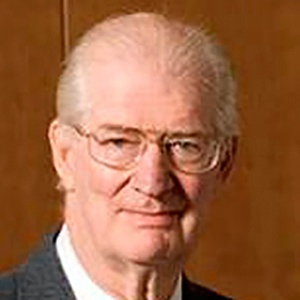 John B. Cobb, Jr. is an American philosopher, theologian, and environmentalist and is often cited as one of the most important North American theologians of the twentieth century. He is the preeminent scholar in the school of thought associated with the philosophy of Alfred North Whitehead. The author of more than fifty books, Cobb is a member of the American Academy of Arts and Sciences — one of the nation’s highest honors. He is chair of the board of directors of Pando Populus and was the intellectual architect of the “Seizing an Alternative” conference. Herman E. Daly is Emeritus Professor at the University of Maryland, School of Public Policy. From 1988 to 1994 he was Senior Economist in the Environment Department of the World Bank. Prior to 1988 he was Alumni Professor of Economics at Louisiana State University, where he taught economics for twenty years. The recipient of many honors and awards, in 1996 he received Sweden’s Honorary Right Livelihood Award, and the Heineken Prize for Environmental Science awarded by the Royal Netherlands Academy of Arts and Sciences. In 2010 the National Council for Science and the Environment (USA) gave him its Lifetime Achievement Award. 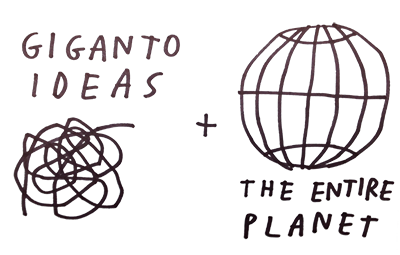 Wes Jackson is a pioneer of the sustainable agriculture movement. 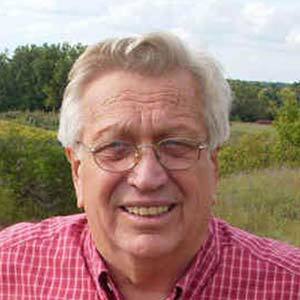 In1976, he founded The Land Institute in Salina, KS, focused on the development of “Natural Systems Agriculture,” including perennial grains, perennial polycultures, and intercropping. The work of the Land Institute has been featured extensively in the popular media. Life magazine named Wes Jackson as one of 18 individuals they predicted to be among the 100 “most important Americans of the 20th century.” He is a recipient of the Pew Conservation Scholars Award (1990), the MacArthur “”genius”” award (1992), and the Right Livelihood Award (2000). David R. Griffin is Professor of Philosophy of Religion and Theology, Emeritus, Claremont School of Theology and Claremont Graduate University in Claremont, California. 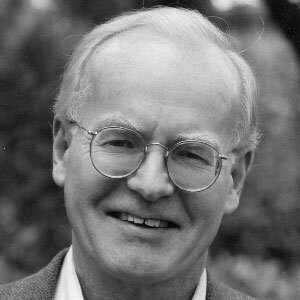 The founding pioneer of constructive postmodernism, Griffin served as editor of the SUNY Series in Constructive Postmodern Thought (1987-2004). He is recipient of the Book Prize of the Scientific and Medical Network in 2000, winner of the Helios Foundation Award in 2006, and named as one of “The 50 People Who Matter Today” by the New Statesman in 2009.